Matt has been beyond busy at work, so I know we're all looking forward to just spending time together as a family. We're planning on visiting Santa, checking out some holiday lights, and having a Friendsgiving with some of our favorite people. By the by, be sure to check the blog on Monday morning. I'll be holding a giveaway for all you Milwaukee Moms with little ones that you're not going to want to miss. Here's a hint: Elmo! To celebrate the start of another weekend, here are some of my favorites from this week. Check it, check it out! 1. Last week, I saw a post on Instagram from Homey Oh My!, where she shared a simple idea for making garland to use for wrapping Christmas presents. She used bakers twine and a star hole punch to make this super cute and simple garland gift wrap. I loved the way it turned out, and it was so easy! I found the twine at Target in the dollar spot, and just used computer paper for the stars. Callum even helped punching out the stars. You can find the instructions here. 2. Last week, my friend and neighbor, Alyson, hosted a Downton Abbey tea party. Yes, a DOWNTON ABBEY TEA PARTY! Sorry to yell, but it was really that awesome. She had the cutest table set up, served us delicious scones, and we even left with some tea and a Downton Abbey mug. 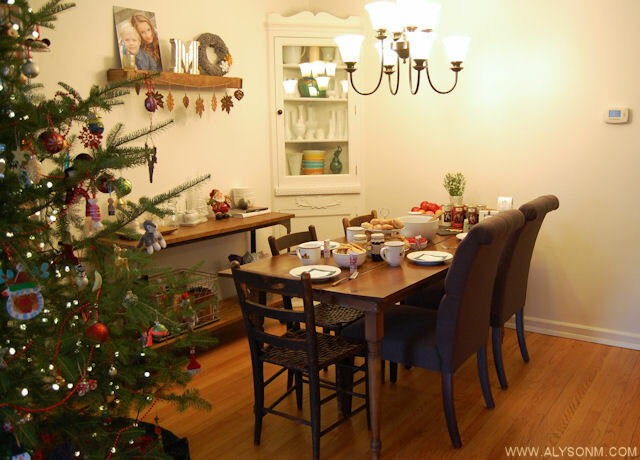 If you're in to Downton, check out her blog post about the party. She's giving away an adorable Downton Abbey prize pack. 3. I made this Copycat Colectivo Baked Oatmeal this week and it was a huge hit in our house! I mixed it all up the night before, and then just baked it in the morning. Super simple, and everyone ate it. Win, win. I will definitely be keeping this in mind the next time we have people staying at our house. It's one of those recipes that seems like it was a lot of work, but was actually very easy and quick. 5. 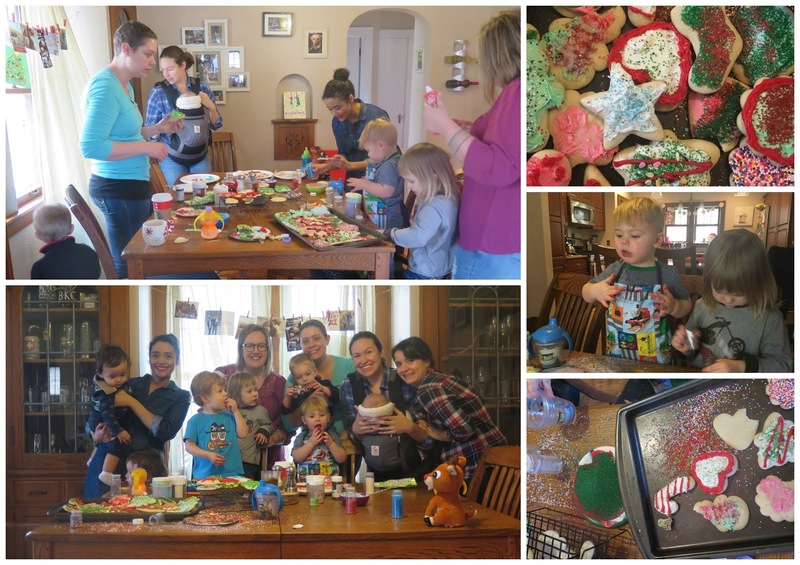 Yesterday, I hosted a little cookie decorating party at my house for some friends and their little ones. It was such a great time! There were sprinkles everywhere, and Callum ate his weight in frosting, but I wouldn't have changed a thing. The kids had such a blast making a mess, and I so enjoyed talking and drinking coffee with some of my favorite moms. It was such a great morning! Have a great weekend everybody! Only two more weeks until Christmas! What a cute idea for wrapping gifts! Do yall ever do play dates? I typically have the 3 and 1 YOs on weds and would love to hook up with other grown ups! Wednesdays are one of the days I'm in the office. :( Otherwise, I totally would. If you ever watch them on a Tuesday, Thursday, or Friday, let me know. Those are the days I'm home.